Lannon Consulting branding and communications client projects are often confidential. Some public partnerships include: Design Trust, Ltd, Museum of Contemporary Art Chicago, Southwest Airlines and the Chicago Artists Coalition. 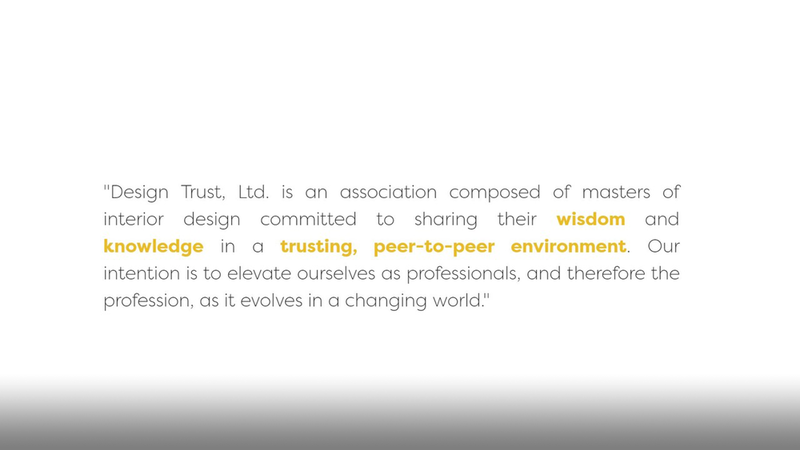 Design Trust, Ltd. is an exclusive association for CEO’s of leading interior design firms. With a new board of directors, the association was seeking a brand refresh to support its aim of increasing membership and communicating its mission. 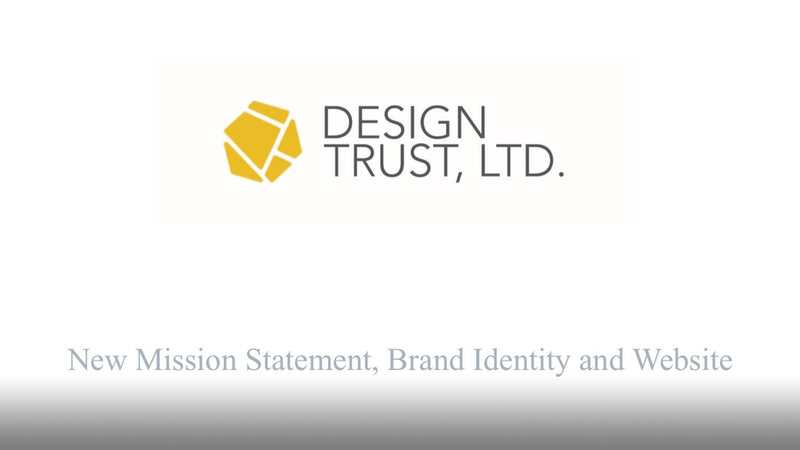 Carrie first conducted a full-day brand exploration with DTL’s board of directors that resulted in consensus on a new mission statement and brand attributes. She was chosen to then lead the design of a new brand identity and website based on the insights. The new logo for DTL includes a “reimagined square” – the reassembling of a square into a new shape. This ability to transform represents DTL’s commitment to elevating each other as professionals through transformative experiences. The former website homepage was not visually inviting or dynamic. With the new mission statement, brand attributes and logo as guides, a new website design was created. The logo colors and design were incorporated into a fresh, modern website. Four main headers offered easy navigation for users. A password-protected Members Login page, found to the upper right, offered a proprietary resource for members only. The chosen text font was clean and contemporary with pops of the logo color incorporated throughout. It is visually appealing and complements the minimalist website design. Rather than use the expected visuals of interior design photos or photos of people, creative visuals that matched the sophisticated tone of the site were incorporated throughout the pages. Invitations to bi-annual Design Trust, Ltd. symposiums are an important benefit for members. But the old site offered little information or motivation to explore symposium contents. The new symposium page allows potential sponsors and members to view both upcoming and past symposiums. A summary of what was presented at past symposiums is accessed through click-throughs. To attract new members, the Member Benefits page received an upgrade so that benefits are clearly defined. Benefits are divided into Creative, Business and Personal categories to show the breadth of offerings.